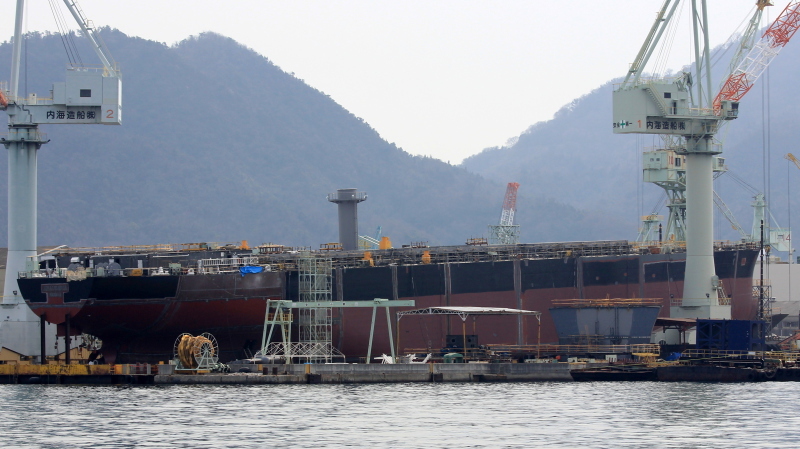 This is what looks like a handysize bulker, or a general cargo vessel under construction at Naikai shipyard at Onomichi. Info on the yard and IMO number kindly provided by Phil English. Only one problem, the build date I have (June 2018) is rather optimistic given the photo.